Lately, I’ve really been wanting to participate in more food blogging events, but I’ve refrained because the don’t fit into the theme of Sushi Day, and I don’t want too much non-sushi randomness on here. I would love to cook and bake more but, well, I’ll save that for when I have a more general food blog. (Which is hopefully coming soon!) However, when I saw the theme for this month’s Sugar High Friday, hosted by Tartelette, I realized that this was something that I could relate to Sushi Day! Although my recipe isn’t sushi (sorry guys) it is a Japanese dessert! I have been wanting to make mochi (sweet rice cakes) ever since I began cooking. I have had a life-long love affair with the dessert. 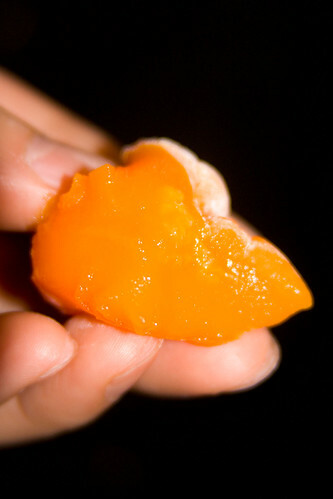 Since I was young, my mother would take us to each get a piece of mochi whenever we went to the Japanese part of town. So you would think that now that I have discovered a love for cooking, that would be the first thing I make! Unfortunately, I was always so intimidated by it, so I never actually made it until now. What a mistake that was! This is the quickest, easiest recipe ever… and it turns out with the same taste and consistency as the mochi I bought as a child! 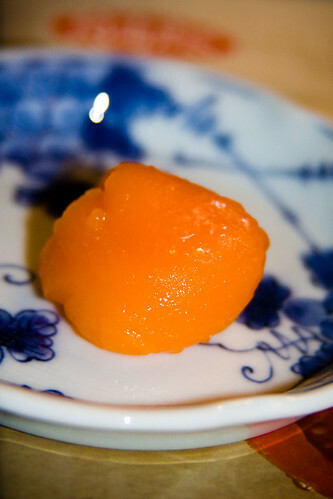 You can replace the orange extract with any flavor you would like, for different flavor mochi. Same goes for the food coloring… the mochi can be any color you want, or even multiple colors! 😛 Considering I’ve only made this once, I might edit the recipe in the future if I find anything that makes it easier or better. 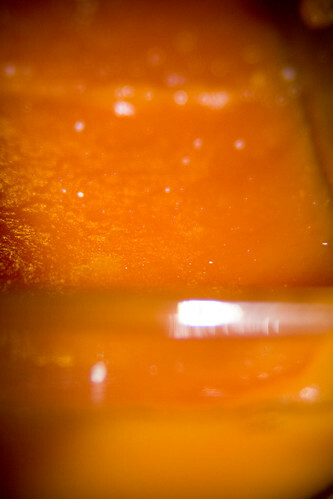 Pour into a microwave-safe container. I love Mochi so I am sure to love that one too! Thank you for your participation! Lisa – Oh yes, it’s ridiculously easy if you buy the rice flour instead of pounding it yourself! What a creative idea! One of my favorite types of mochi is butter mochi, and I’ve been thinking about making it. Now you’ve got me thinking about it again! 🙂 I just love mochi of all types!